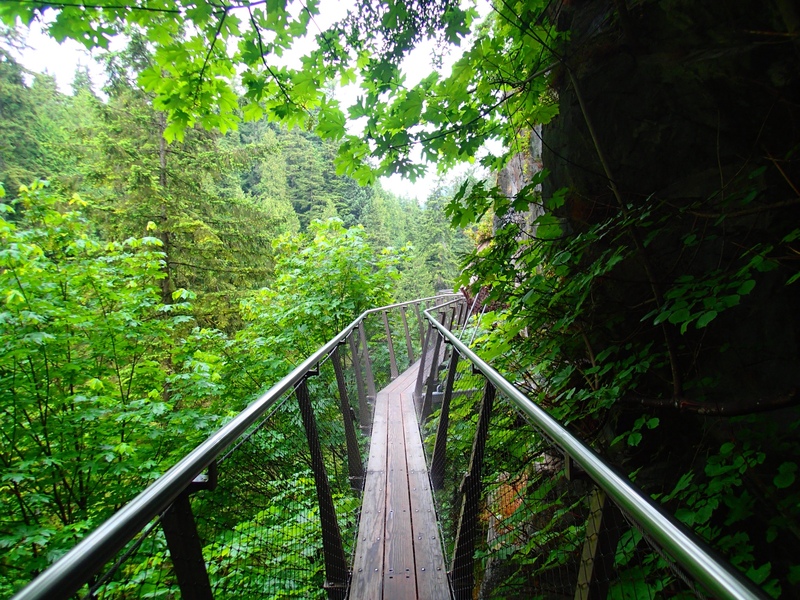 Vancouver Part 2: Bridge of Suspension, Granville Markets and Whale Watching. 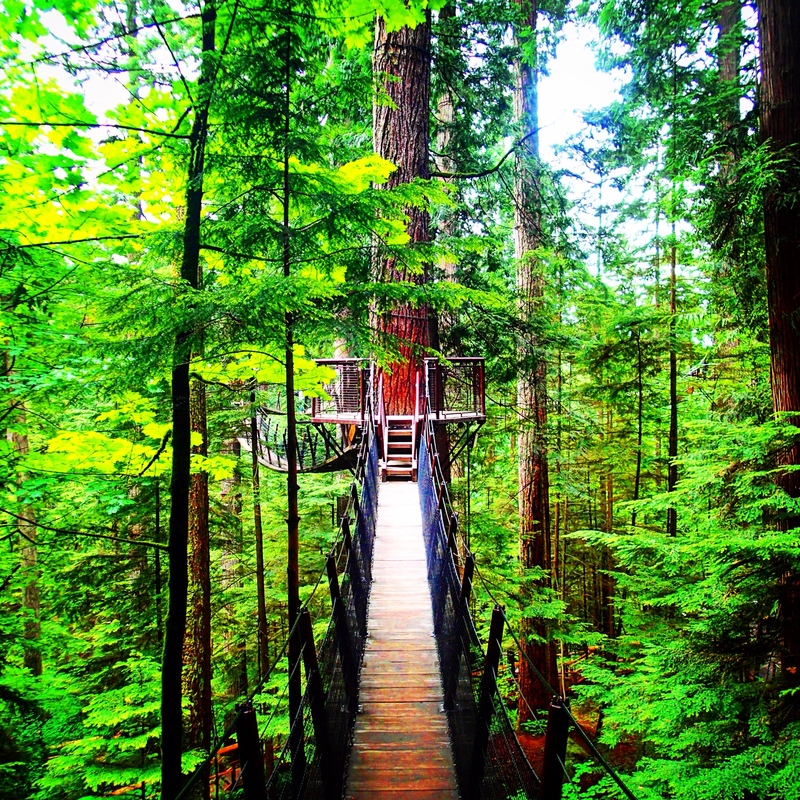 Beautiful trees, and a magic tree top walk. On my first day touring in Vancouver I decided to explore and be impulsive. I made quick changes in direction and stumbled upon surprises at every turn. On the outlook, there are appears to be less on the surface, but buried underneath the main roads, you will find a metropolis of shops and malls. I always forget this in Canada! After some window shopping, I made my way down to Canada place, to see where my cruise would be leaving from in a few days. As I approached the dock, I saw a bus offering free shuttles to the Capilano Suspension bridge. Boom! I jump aboard and find myself in heavenly nature only minutes from the city, just what I needed, after walking around the city in circles, the shops were make me dizzy. A sheer drop off to the left, epic walk! The main feature of this nature haven is the massive swinging and swaying suspension bridge high above a cascading stream, forrest and stones. So cool. It really did sway enough to be nerve wracking! There were an abundance of pathways leading around a magical nature wilderness. Beautiful big trees, ferns, the smell of Canadian oak like a sauna, misty fog from a little rain, I was in heaven. 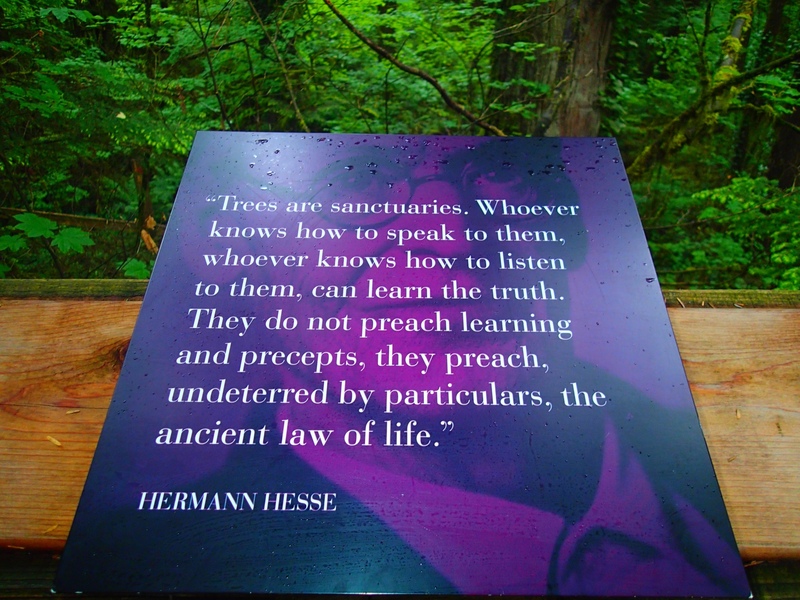 Trees and oxygen are so important for our planet, so the educational plaques reminded me. If I had it my way no more trees would be bulldozed, and entire cities would be turned back into natural sanctuaries. Breathing in all the rich fresh air really made me feel good, and helped my jet lag! 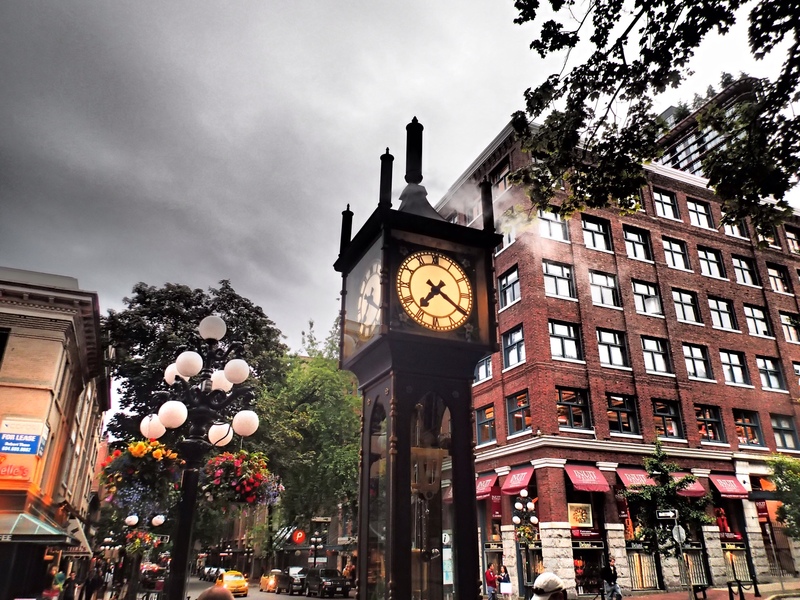 The classic clock shot in Gastown! Later that night I went to Gas town for dinner with an old friend I had met years ago. It was lovely to catch up and cool to see the old clock tower again. Sadly there were lots of street people around, and lots of people with mental illness so it seemed to me. Apparently there is a lot of public housing around there, it was obvious. Such a shame, it really makes me wonder what their stories were, why they ended up the way they did. We all have a story right? The next day I made my way down to Granville Island for my whale watching tour. 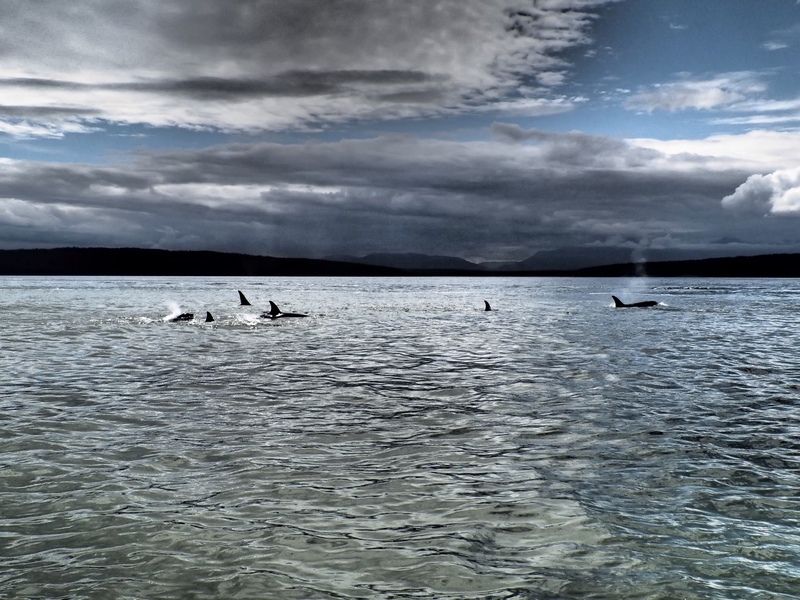 I was very excited to see some Orcas, it was my first whale watching experience, and one I was looking forward to. I had some time before the boat trip to check out the markets, one of my favourite places in Vancouver. 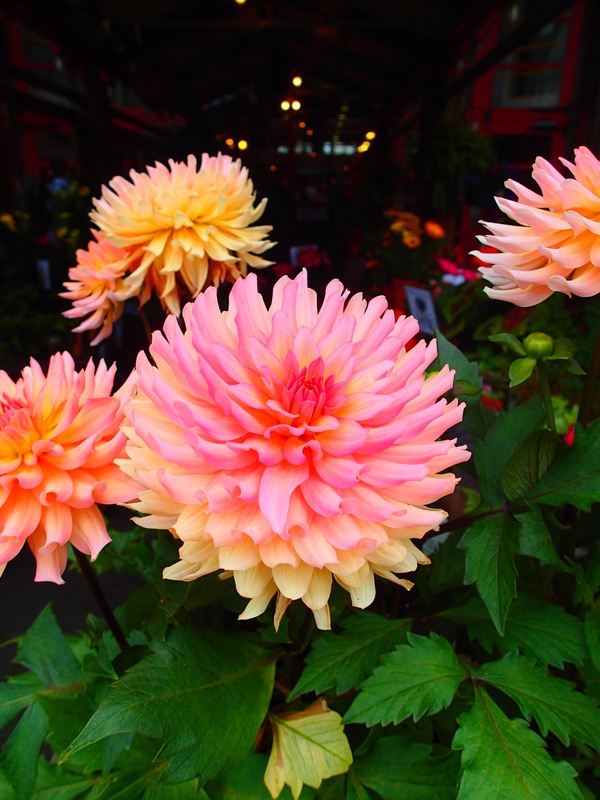 Gorgeous Dahlias to greet you as you enter the Granville Markets. As I sat there in the markets at Granville Island, I remembered a time from the past when I used to live nearby on campus at UBC. I used to ride my bike down to the markets, wander around the stalls have lunch and sit and watch the boats in the harbour and the beautiful city skyline. Granville Island is still a magical place. The food is out of this world, every delicacy and delicious dish you can think of! It was very hard to choose what to eat but I settled on an old favourite. 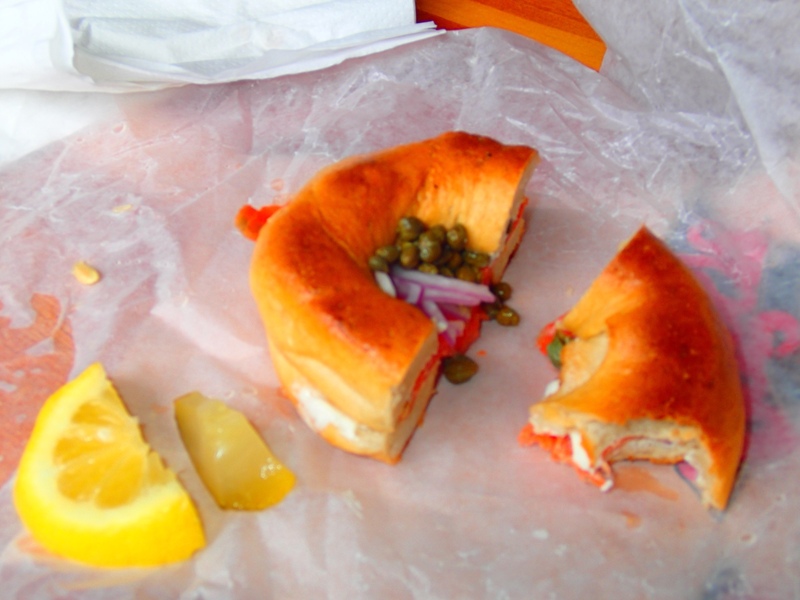 I decided on a smoked salmon, cream cheese, red onion and capers bagel, and it was incredible! You can't find bagels like that in Perth anywhere. Crispy outside, dense and yummy inside, bright orange salmon, so good, and it came with fresh lemon and a slice of dill gherkin, my favourite! I could eat bagels everyday while in Canada and not get tired of them; but I am not planning on setting that challenge; there are too many other scrumptious choices! I have always loved markets. I love their freshness, immediacy, friendly staff, vibrant atmospheres. Everywhere I travel I go to markets, to sample unique foods, or just to browse at the variety of delicacies. I recall a time I was at a market in Riga Latvia, where my Father was from. It was amazing, massive multiple rooms filled with fresh produce meats, cheeses, vegetables, fruits, bakery, each section had its own dedicated room the size of a huge hall. I will continue to visit as many markets as I can, and look forward to discovering unique and interesting market places all through Europe on my trip. So the whale watching was cool! We had perfect conditions, calm waters and blue skies, and most importantly lots of whales! There were a few different pods of them and they frequently came to the surface which was great. They were only small ones though, I was expecting bigger! The whales in the area grow as big as 9m, and can live as long as humans. There is one whale they call “Granny” and she is 104 years old! Now that's pretty old for a whale right? I shared a boat with about 22 other tourists, all keen to get a look at the brief glimpses of fin. I made sure to look with my own eyes as well as the lens, it seems a shame to me to experience everything behind the lens. Photos are good but it is important to capture the memory with your eyes and mind too. Whales are hard to photograph too, pesky little things! It reminds me I want to swim with the whale sharks in Exmouth next season when I am back home in Perth. We have an abundance of marine life in WA and taking trips like these makes me want to see more whales and swim with dolphins in my own backyard. After that I was in! I was being friendly and having a chat; we ended up walking along together up the street fortunately heading in the same direction, and then they invited me to play tag touch rugby! So great! So I ran home, got changed, jumped on a bike to pedal back faster, and jumped right in and played tag touch rugby, for the first time. It was great fun! I even made a try! And…like a good sportswoman I flung into a cartwheel from excitement after my touchdown, ha! So great! It really does work wonders to be the YES girl. Honestly this is a great motto in life. I was feeling tired and little unwell to be honest beforehand, but I said yes and got involved and had a fab time. I made some new friends and hopefully some new blog followers too! See told you I would put you in Elaine! I really wanted to get this post out to you before I hit the sack for a big day trip to Whistler tomorrow! Educational plaque, so good, I found myself hunting them down to read and be inspired. I’ve been to Vancouver, BC twice and missed the whales both times! If I could afford it, I would love to live there one day! It’s such a beautiful city!! ← Letting go of the Handbag.